Justice League is a standard superhero popcorn flick. It’s nowhere near as dark, dreary, and generally abysmal as Batman v Superman. But it also doesn’t accomplish anything remotely special. It’s about a team of heroes coming together to fight a villain with a doomsday plan. Been there, done that. Several times, actually. So what we get comes off completely and utterly average. Trust me, it’s a lot more exciting on paper than it is on screen. 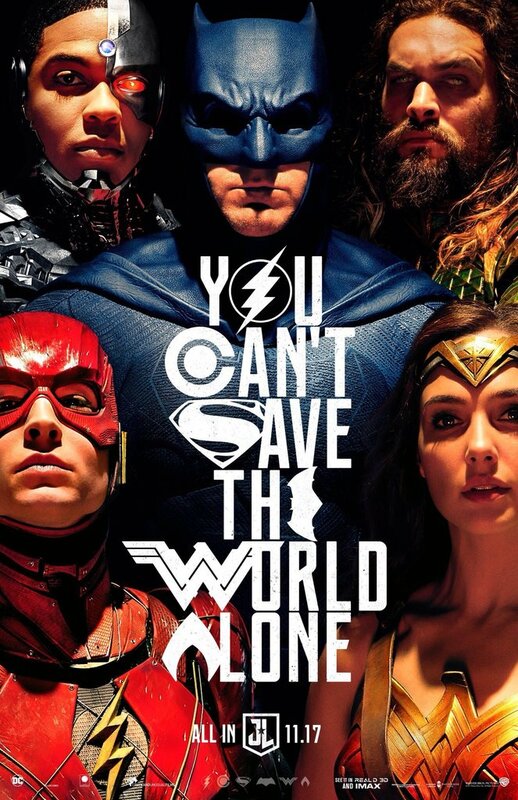 Justice League is the culmination of the years-long comedy of errors that is the “DC Extended Universe.” Man of Steel was an adequate start, flawed as it was with it’s dreary look and overindulgent third act. It was followed by the downright dour Batman v Superman, which robbed its characters of almost any charm, heart, or likability. Suicide Squad wasted arguably pop culture’s most iconic supervillain in the Joker, but managed to be fun in a mindless hot mess sort of way. Wonder Woman was the exception that made the rule. It felt like a single vision, with purpose, heart, and passion put into it. And so, on one the most rickety foundations in cinematic history, Justice League was built. Like Suicide Squad before it, this movie feels like a melting pot of visions, voices, and priorities clumped together to form a viable commercial product. Our director is once again Zack Snyder. But with their confidence shaken from the backlash to Batman v Superman, Warner Bros. brought in Avengers director Joss Whedon to reshape the script. Thus, we have a Joss Whedon superhero movie taking place in Zack Snyder’s grim DC Universe, under the management of a studio desperate to compete with Marvel at the box office. Hot damn! Sign me up! Yes, Steppenwolf. A second-rate, paper-thin, poorly rendered Darkseid stand-in with an army of space bugs, a silly name, and a generic doomsday plot. This is who they came up with to face the Justice League in their debut feature film. 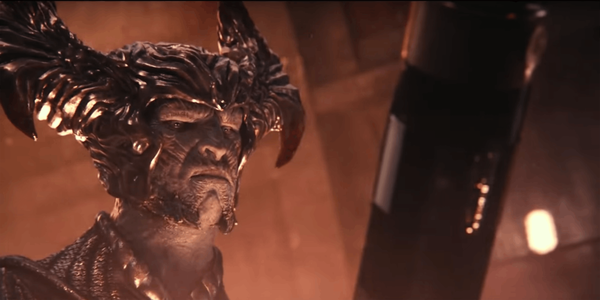 Strictly from a cynical marketing standpoint, how the hell to you pass up slapping Darkseid, Brainiac, or Lex Luthor on t-shirts and posters, and instead opt for someone called Steppenwolf? Superman has a certain aura of reverence in this movie. Had that been earned or established in Man of Steel or Batman v Superman, that would have been fantastic. I’ve always been a proponent of Superman being the center, or at least part of the center, of the DC Universe. He’s certainly its moral backbone. But all this mourning we see over Superman doesn’t match the controversial figure we saw in Batman v Superman. Yes, some people loved him. But he was also the subject of protests and a congressional hearing. Lois Lane, Batman, Wonder Woman, and those who knew Superman have a reason to miss him. But based on what we saw before, there’d be a large contingent of people who’d be glad Superman died. Unlike in Batman v. Superman, almost all of our heroes are likable. Superman knows how to smile. Wonder Woman is compassionate, but still fierce. I’ve never needed a lot of selling on Ben Affleck’s Batman. Joss Whedon’s influence in the movie is obvious when the Dark Knight gets in a quip or two. Ezra Miller plays a socially inept Flash, who provides much of the comic relief. His costume looks absolutely ridiculous. But there’s a certain charm to him. Jason Momoa’s Aquaman is surprisingly okay as a dude bro. For a team flick, it works fine. Granted it’s not the approach I would have gone with, and they’ll obviously need to deepen his character for the Aquaman solo movie. Assuming that’s still in the pipeline after all this. As much as this movie fell short of what it could have been, there is a certain warm and fuzzy quality to seeing these characters on the big screen together. Most of them aren’t true to the essence of the iconic characters they’re based on. But at the very least it’s cool on a superficial level to see Batman is standing next to Wonder Woman. 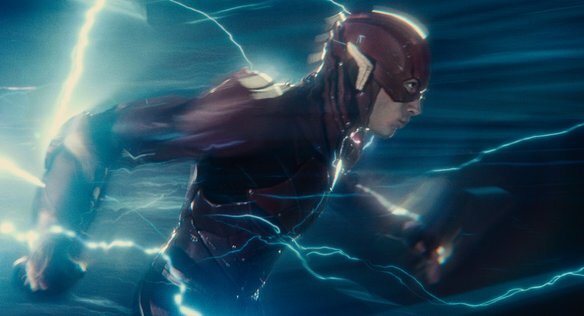 Superman is running next to the Flash! Aquaman is in Atlantis! It’s a highly tarnished version of what we should be getting. But at least we’re getting it in some form. That counts for something. And so, four years into the DC Extended Universe, what have we learned? What has the road to Justice League taught us? More than anything, it’s this: Darkness doesn’t equate to quality. At least not to larger audiences. Some people point to darker tales like The Dark Knight Returns and Watchmen as the pinnacle of the superhero genre. But while they pushed the boundaries of how these stories and characters could work and be seen, they weren’t simply dark for the sake of darkness. The Dark Knight Returns isn’t just about an older and grittier Batman getting to punch Superman in the face. It’s about a hero returning to face a world that’s changed in his absence. Watchmen isn’t about Rorschach beating people up. It’s a look at superheroes from a different, more grounded angle. The dark tones fit the stories and the characters, not the other way around. We also need to remember that at the end of the day these characters are meant for children. That doesn’t mean we can’t love them as adults. We don’t need to dumb them down for kids, but we can’t keep them all for ourselves either. If DC and Warner Bros. should have learned one thing from Disney and Marvel, it wasn’t the cinematic universe element. It’s that these movies can be accessible to viewers of all ages. They can be mature without being meant for mature audiences. 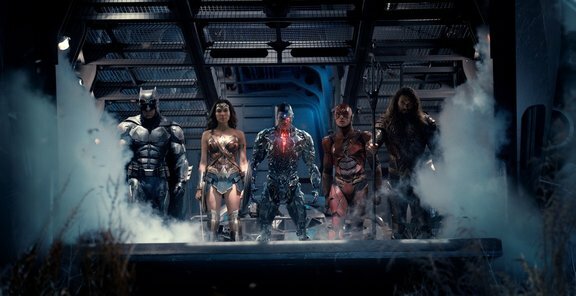 The blame Justice League‘s failures, creative and otherwise, falls primarily on the studio higher-ups. But the finger also needs to be pointed at Zack Snyder. He’s got a devoted fanbase that will filet me for saying so. But if Batman v Superman didn’t convince you, the fact that the first Justice League movie didn’t outperform the third Thor movie should say it all. Snyder must be kept far away from any and all future DC films. I shudder to think what this movie would have looked like without Joss Whedon’s influence. Superhero movies can be thrilling, emotional, and surprisingly versatile. But at their core, they aren’t complicated. Give us a hero worth rooting for, a villain worth rooting against, and a reason for them to fight. We don’t need to see a bad guy get his neck snapped, a bomb inside a jar of piss, or a city destroyed to compensate for a lack of emotional connection with the audience. This entry was posted in Comic Books/Graphic Novels, Movies and tagged Amy Adams, Aquaman, Arthur Curry, Atlas Entertainment, Barry Allen, Batman, Batman v Superman: Dawn of Justice, Ben Affleck, Bruce Wayne, Clark Kent, comic book movies, Cruel and Unusual Films, Cyborg (DC Comics), DC Comics, DC Extended Universe, DC Films, Diana Prince, Ezra Miller, Gal Gadot, Henry Cavill, Jason Momoa, Joss Whedon, Justice League, Justice League (2017 film), Lois Lane, Man of Steel (2013), Mother Box, Movies, Mrs. Primary Ignition, parademons, PG-13, RatPac Entertainment, Ray Fisher, Rob Siebert, Steppenwolf, Suicide Squad (2016 film), superhero movies, Superman, The Avengers, The Avengers (2012 film), The Flash, Thor: Ragnarok, Victor Stone, Warner Bros., Warner Bros. Pictures, Wonder Woman, Wonder Woman (2017 film), Zack Snyder on 11/26/2017 by primaryignition.